There have been rumors swirling lately about in-fighting among some members of Journey but apparently that hasn’t gotten in the way of concert planning. There’s currently talk about the possibility of Journey and Def Leppard teaming up next year for a major North American tour. The two classic rock acts last toured together in 2006 and was reported to be one of Def Leppard’s most successful outings since their 1992-93 Adrenalize tour. In addition to Campbell’s on-air comment, Journey bassist Ross Valory also appears to be privy to the possibility of a tour. Valory, talking with The Advocate newspaper, admitted that a tour with Def Leppard could kick off sometime around May or June of 2018. 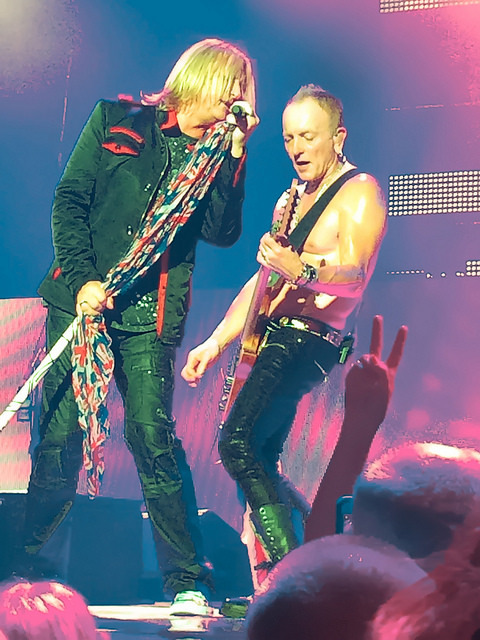 Def Leppard guitarist Phil Collen is one that could likely be counted upon to advocate for a tour like this since he has openly stated in the past that he would love to go on the road with Journey again sometime.